This cozy, dog-friendly accommodation is located near the beach close to Venus Bay, South Australia, and can accommodate up to four guests. This studio-style accommodation has a full-size bed and a set of twin bunk beds, as well as one full bathroom that offers a toilet, a sink, and a shower, all of which run on hot and cold rainwater. Pillows and quilts are provided, but guests must bring their own linen. The rustic living room offers a television, a DVD player, a diesel heater and a radio. 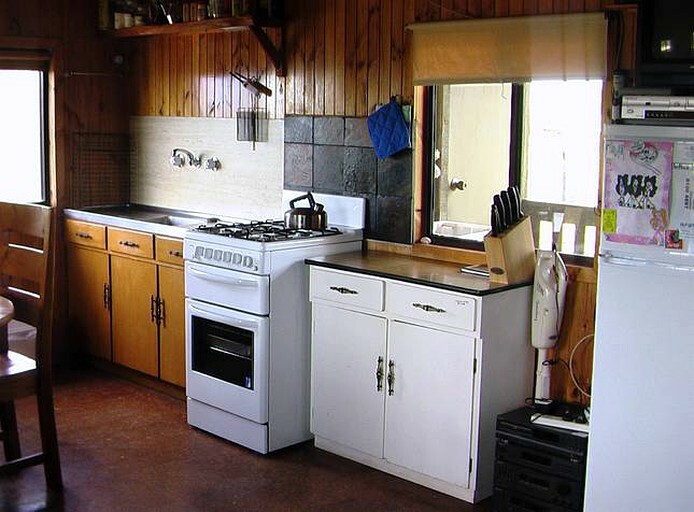 The fully-equipped kitchen has a refrigerator, an oven, a gas stove, utensils, and dishes. Dinners can be enjoyed at the wooden dining table with seating for four. Full refund. If the guest cancels 7 days or more prior to check in. Guests will enjoy a range of facilities and amenities at this property, including air conditioning, heating, and amazing views. Each accommodation has a television and a radio/CD player. Some accommodations enjoy a DVD player or an Xbox console. Linens are provided. 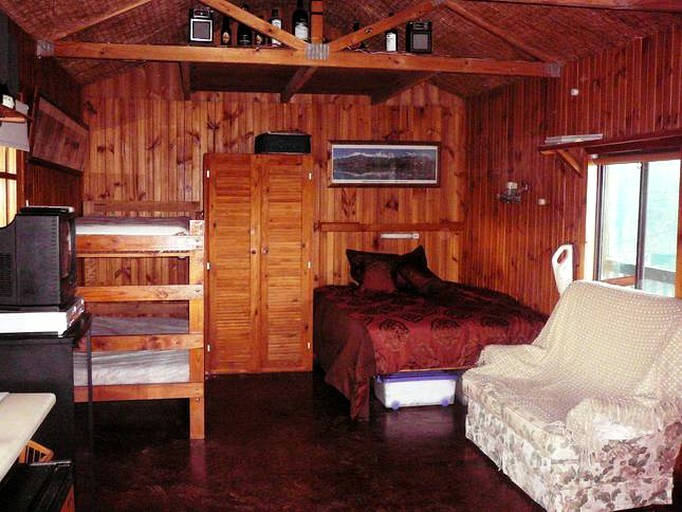 Outside, each accommodation features a barbecue grill, while some have a camping area. All accommodations feature a fantastic deck overlooking the ocean. 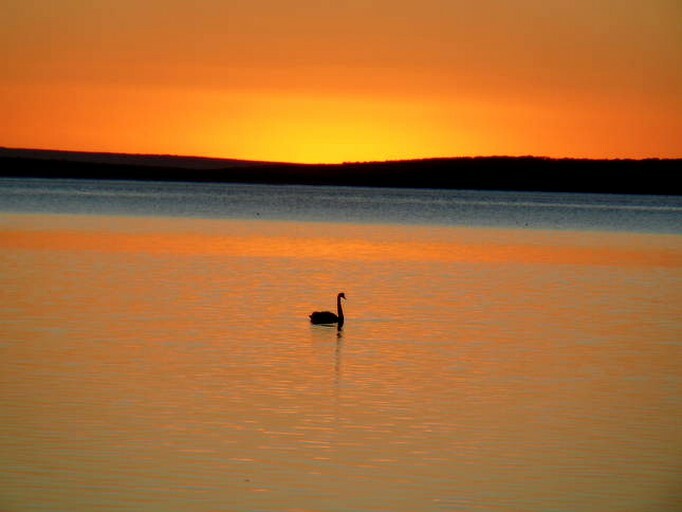 While staying at this property, guests will enjoy the absolutely stunning landscapes and surroundings of Venus Bay. Just a few minutes from the property are long stretches of beach, where there are plenty of walking trails that lead to the majestic cliff tops. There are plenty of islands nearby where guests can take exciting day trips to explore and enjoy a picnic on. Fishing enthusiasts will be happy to know that Venus Bay and the surrounding towns are all popular fishing and seafood destinations, with plenty of fish-filled lakes, ponds, rivers, and the ocean of course. Gawler Ranges National Park is filled with hiking trails, local wildlife, and more, where guests can enjoy a fun-filled day trip. Additionally, guests could head to Port Augusta to enjoy the buzzing nightlife and tourist destinations, like the Australian Arid Lands Botanic Garden. You will receive a full refund if you cancel at least 7 days prior to check-in. You will be charged for one full night’s stay plus 50% of the cost of the rest of the stay if you cancel within 7 days of check-in. Laundry service is provided for stays longer than a week.